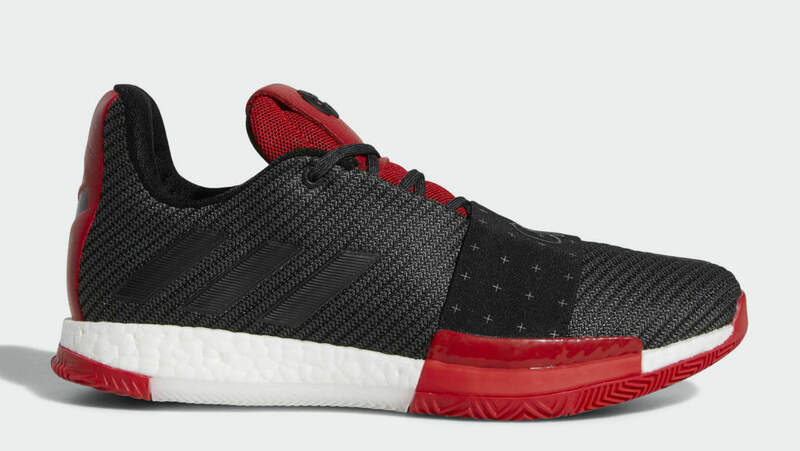 Reigning NBA MVP James Harden's latest Adidas Harden Vol. 3 will arrive in a Houston Rockets appropriate colorway dressed in a black-based Primeknit upper with hits of red throughout. Release date is Dec. 1, 2018 at a retail price of $160.